Real estate agents or home inspectors are responsible for ensuring properties are in tip-top shape, and when they need to have specifics done, they call BLM to make the properties market ready. We provide to property managers the access to a wide range of technicians that have a proven and prompt service of quality for their specific needs. Business owners or managers seeking a cost effective resource to handle facility maintenance and repairs have come to BLM. 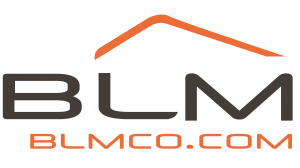 BLM Companies has developed a network of professionals who can address any residential and commercial property-related need. Saving customers time, money and aggravation, a team of technicians offers responsive quality service that comes with a total satisfaction guarantee. Our focus is on quality, and what differentiates our company from the others in the “handyman” space, is our ability to serve both residential and commercial customers alike. Even as the company continues to grow, our commitment to becoming a valued resource for every customer will never change.